We’re almost a week into National Novel Writing Month. How’s your book coming? Based on the many conversations I have had with ambitious writers who have undertaken the challenge, there are a lot of you out there who have one underway. Good for you! 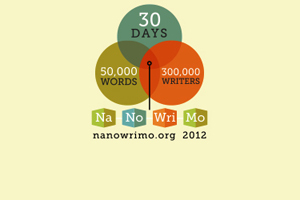 It takes a real commitment to write a novel in 30 days. But with a lot of discipline and even more time banging away at the keyboard you can knock out a draft manuscript this month. I just hope you don’t think you’ll have a book that’s ready to ship off to a literary agent on its way to the best-seller list, or what’s more likely, off to a printer for self-publication. You may have heard someone say he/she wrote a book in less than a month. I once heard Johnny Carson interview mystery novelist Mickey Spillane on the Tonight Show. Spillane was bragging about how quickly he wrote. Johnny asked him how long it took him to write a book. “How bad do I need the money?” replied Spillane. “What’s the quickest you ever wrote one?” asked Johnny. “I wrote one over a three-day weekend,” said Spillane. It was a great interview. I know I got a good laugh out of it. But the fact of the matter is, Spillane did not finish the book in three days. He sent the draft off to the publisher where an editor was assigned to the book to help Spillane revise and polish it until it was ready to be published. That took a lot longer than three days. And books written during National Novel Writing Month will take more than a month to be ready for print. Your book will need editing. Skipping the editing step of preparing your manuscript for publication can be fatal. With the dramatic changes in the publishing industry over the past few years, literary agents have assumed more and more of the role of gate keepers previously played by acquisitions editors at traditional publishing houses. Most literary agents won’t even look at an unedited manuscript. If you are lucky, they’ll recommend that you have it professionally edited and resubmit the revised book. If it is picked up by a traditional publisher it will get more editorial attention before it ever appears on a bookshelf at your local bookstore or a page on Amazon. What is favorite/ least favorite part of the story, and why? What is unclear or difficult to understand? Are facts or ideas missing? By taking some time to think about what you would like to know about a reader’s reaction to your book and develop a list of questions (no more than three-five – you don’t want to make the task too onerous.) give the list to your beta readers and you will likely get some good insights about things that worked well and those that didn’t. However, beta readers, knowledgeable as they may be, are not professional editors. How to organize, pace, and frame the story effectively? How to tell your story more dramatically? How to build upon the story’s theme by emphasizing specific ideas throughout the book? Developmental and content editing of this sort will help you create a much better book. A professional editor can also help you to shape your book for marketplace conventions. That’s the kind of attention every book used to get at a traditional publisher. If you are self-publishing you need to make sure that your book gets it too. So finish your manuscript in November. Celebrate your accomplishment! Then make December National Novel Editing Month. Patricia Fry’s Talk Up Your Book – A Great Book Promotion Tool!